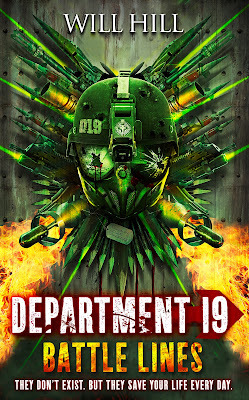 Official synopsis: "Secret government unit Department 19 is recovering from evil vampire Valeri Rusmanov's deadly attack on their base. 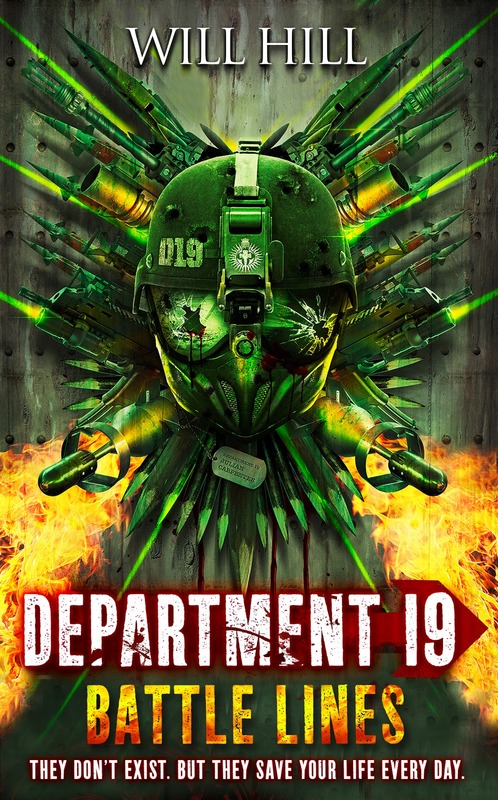 The Department’s newest member, teenage operator Jamie Carpenter, is tasked with training up a new squad, as his friends and colleagues desperately search for ways to try to stop what is coming. The timing couldn't be worse for a coordinated, global attack on a number of maximum security prisons and hospitals—with the already-dangerous inmates now on the loose and turned into vampires. One of the escapees has a deep connection to one of the darkest moments in the history of Department 19 and embarks on a quest that threatens to expose the existence of vampires to the public. And with each day that passes, the regenerated Dracula gets stronger, bringing Zero Hour closer. In this third instalment of the epic Department 19 series, Will Hill delivers higher—and sharper—stakes than ever before." Do you ever read a book and wonder just how, exactly, the author is going to top it with the next instalment? I did when I read The Rising, the second book in Will Hill's Department 19 series. I'd loved the first book, but the second book blew me away even more - it was my favourite book that I read last year! He can't top this, I thought... It's just too damn epic... Well guess what folks? He did. Will Hill topped it and done so in spectacular style. Jamie and friends at the Loop are still recovering from the attack on their base in the concluding scenes of the previous book. With Department leader, General Henry Seward, gone, taken by Valeri during the attack, and with many killed during those bloody few hours, the department is struggling to get back on its feet. They're managing - recruiting and training every day. But things are about to get worse. All over the world, high security prisons are being targeted by the legions of vampires that sense Dracula's return, that sense that Zero Hour is not far off, and an army is amassing. Prisoners soon turn up with a horrifying thirst for blood - but they seem different, stronger, more powerful, more dangerous. It's down to the department to stop them as well as track down Dracula before it's too late - the clock is ticking. And meanwhile, Larissa is in America, at the legendary Area 51 which turns out to be the US's version of the Department back in the UK! Holy cow I cannot express just what Will Hill and his books do to me. It's like they're all that matter in the world for however long it takes you to read it's behemoth 700 or so pages. You might think that reading a book that long would be a chore some times but with Will, that is not the case - the book is so full of action, gore, blood and teen angst that the pages just fly by at breakneck speed, and when you reach the end you feel a hollow sensation in the pit of your stomach. A sadness even that you've come to the end and now a horrifying and torturous twelve month wait begins for the next instalment. I'm not really going to say much more - if I do I'll spoil the book and I know how angry I'd be if it was spoiled for me. Just know that Will Hill is once again on top form and showing just why he deserves every success that comes his way. His writing, as ever is clear, fluid and engaging and drives you perfectly through the twists and turns of the story contained within. Battle Lines just proves to me even more why this series is fast becoming one of my favourite. It's so well executed. The story itself, the monsters - they don't feel clichéd at all, they're exactly what they should be, blood thirsty, bone crunching, human eating monsters. The characters are all believable and well rounded, and they contrast together brilliantly. It is well on it's way to being my top read of 2013, like it's predecessor was for 2012! I don't think anything I can say can truly explain or show just how much I love these books. I just wish I could hibernate from right now till next March when Book 4 comes out. God it's so far away. ARGH!!! My thanks to HarperCollins for my review copy!